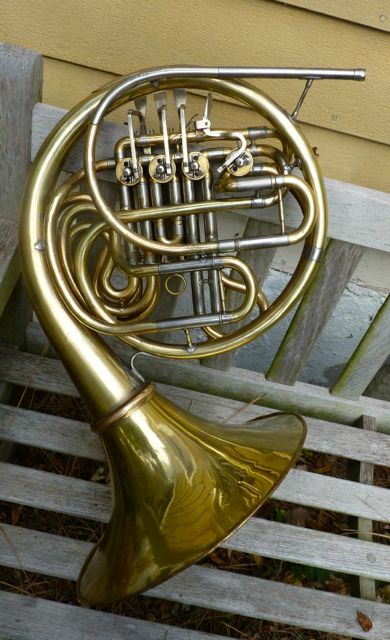 Yamaha YHR 561 Serial # 002051.Very good Valve compression, cosmetically challenged, no lacquer. 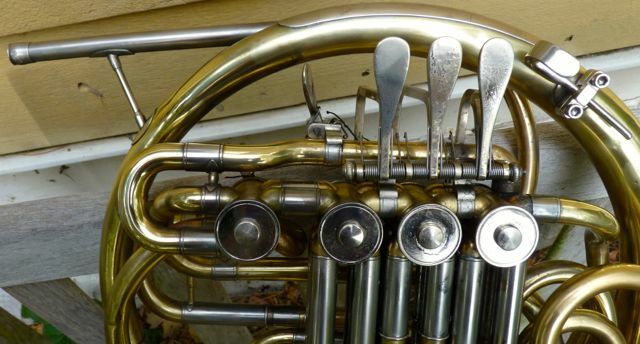 The horn shows signs of “work” done to it. 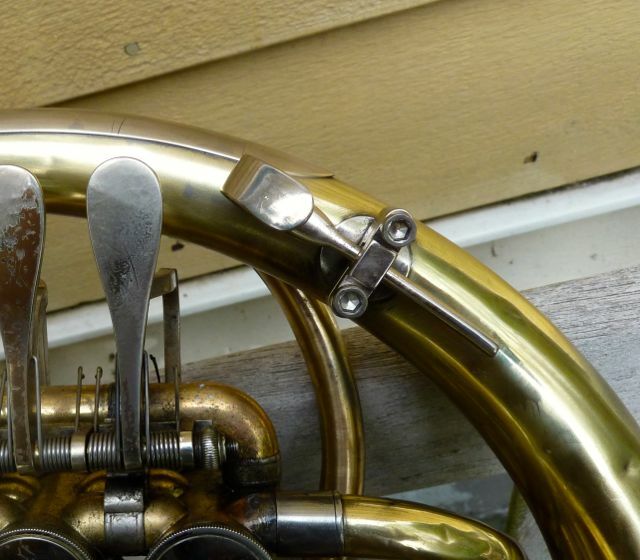 The horn will oxidize if not touched up occasionally. I generally use a non abrasive cleaner, then I’ll put on a layer of floor paste wax, or wipe it down after use with a silver polish cloth, or let it oxidize. The ring set is an 8d Conn/Selmer ring set. My rose brass 8d flare screws right up to it. So the ringset give you some interesting tone color options. The other option is a Holton Adjustable pinky hook. Not shown in Pix , the horn will have a Amado waterkey on the leadpipe installed. 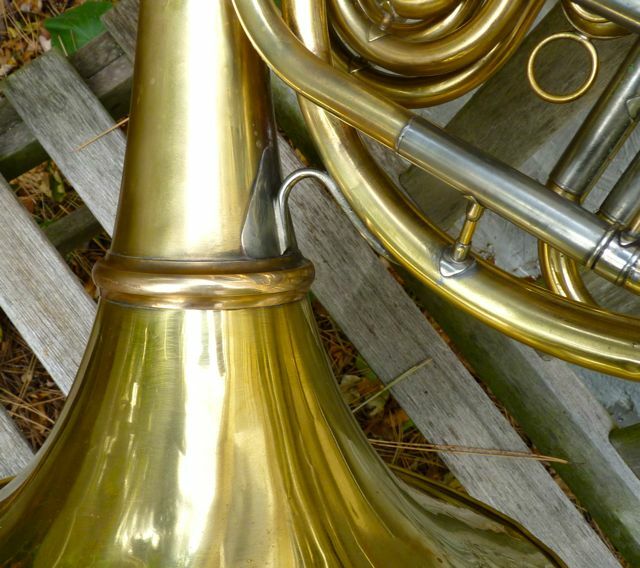 The horn has an easy upper registar and plays well throughout the horn’s range. The valve slides are Yamaha’s factory brass within NiSi sheaths. Email questions, Buyer to pay shipping. Shipped in a factory Yamaha case. $1375.00 + ship. If you would like a specific pix, ask. I’ll need an email address to get them to you.